Fifty-six Chinese practitioners of Falun Gong, a traditional meditation practice, are on the brink of deportation from South Korea to China where they would face psychological abuse, physical torture, and death. Since before 2002, the South Korean government has been pressured by the communist regime in China to take the same line with Falun Gong as is used in China to this day, namely, “Ruin their reputations, bankrupt them financially, and destroy them physically.” This directive was issued in 1999 by Jiang Zemin, then head of the Chinese Communist Party (CCP) and the governing regime. The Republic of Korea has not gone down the road of outright persecution. However, when one compares its support for political refugees from North Korea and its treatment of Falun Gong—refugees of conscience from China—one can see how much the South Korean government is interefered with by its powerful neighbor. Over the past decade around 23,000 North Korean refugees have made it to South Korea. There were 26,483 North Korean refugees living in South Korea as of March of 2014. Since 2002 about 100 Falun Gong practitioners applied for asylum to the Ministry of Justice in South Korea. Up to now, not one has been granted asylum despite all of them having filed appeals. Only two eventually won their cases. 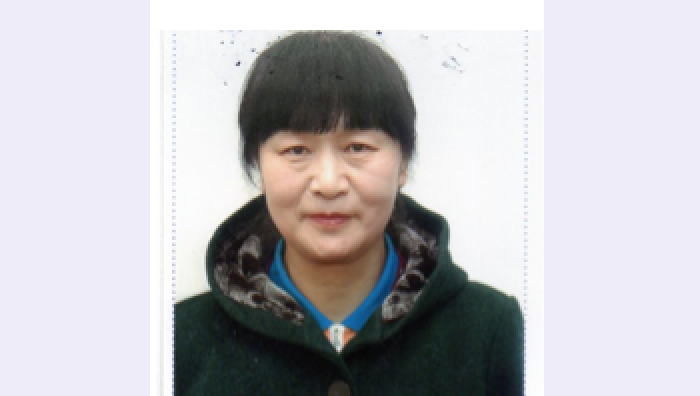 One present detainee, 58 year-old Ms. Jiang Xiuju, has been held at Hwaseong Fortress Foreigners’ Detention Center since July 2014. South Korean officials are aware of the fate of Falun Gong adherents who return to China, as several practitioners who were previously deported to China by the South Korea have given evidence of their subsequent persecution in China. The Republic of Korea has not gone down the road of outright persecution. However, when one compares its support for political refugees from North Korea and its treatment of Falun Gong—refugees of conscience from China—one can see how much the South Korean government is interfered with by its powerful neighbor. Wu Qilong was forcibly sent back on July 1, 2009. On arrival in China he was detained without reason, was subjected to brainwashing, and he and his family were watched and harassed. He was subjected to daily phone calls from state security officers or those working on their behalf. On first arriving, state security men showed him their ID and told him that they were taking over from the police as he had been returned from a foreign country i.e. had not entered China voluntarily. Yin Xiangxi was deported from South Korea on January 30, 2010. Despite changing her name and going into hiding, the Chinese police found her in August 2010. Altogether, 10 practitioners were deported back to China between 2009 and 2011, even though 23 members of the U.S. Congress sent in a joint letter the South Korean government in August 2009 against the deportation of Faliun Gong to China. As a result, all of them suffered in China from severe persecution by the communist regime. Only Mr. Wu and Ms. Yin were lucky enough to escape overseas after deportation and get UN refugee status. In 2012, after a series of lower court cases, South Korea’s highest court, The Supreme Court of Korea, ruled in favor of refugee status for a Falun Gong practitioner, Mr Shen. This became one of the country’s 2012 “Top 10 Cornerstone Cases” of a judging committee. The committee, organized by Minbyun Lawyers for a Democratic Society and Korean newspaper Kyung Hyang Daily News, combines academic and legal professionals, human rights workers, and journalists. The committee reviews South Korean court cases each year and picks ten key cases that best safeguard human rights, upheld the law, and contribute to the improvement of society. It also names 10 “stumbling-block cases”. Members of the judging committee praised the high court for putting human rights first. Followers of Falun Gong do qigong exercises, study moral teachings, and adhere to the principles of truthfulness, compassion, and tolerance. The practice was introduced to the public in China in 1992 and by 1999 had gained a following of over 70 million, according to Chinese government figures. This number exceeded the membership of the CCP. Falun Gong, also known as Falun Dafa, aroused the jealousy of CCP leader Jiang Zemin, who overrode all objections from within the Central Politburo and launched an extensive defaming and outlawing process. The 56 adherents in South Korea have done no more than other Falun Gong around the world: practicing the exercises at home and in public and spreading information to local citizens about the nature of their beliefs and its position in China. Hundreds of Chinese who practice the spiritual discipline Falun Gong were detained by Chinese police during April, often on dubious legal charges. Eight Chinese refugees in Thailand were detained, abused, and lied to by local authorities, who claim they were compelled to do so by the Chinese regime.